What if you were to imagine a backstory for your favorite beer just like the way you create stories about strangers on the street? Who would that beer be and what sort of life would it have? Who would its best cheese chum be and where would you want it to live? Let’s let our imagination run wild for Sixpoint’s The Crisp – their German Pilsner style lager. As an introduction to the palette, The Crisp is incredibly smooth, light and flirty with nice herbal, earthy, grassy, and floral notes. It’s got a bready malty side that goes hand in hand with the orange citrus nuances and a slight bitterness. Crisp like its name, is an easy drinking lager with a refreshing bent, perfect on a steamy summer day at the beach. The alcohol content is pretty low – clocking in at 5.4% ABV. Who is Crisp’s best cheese mate? 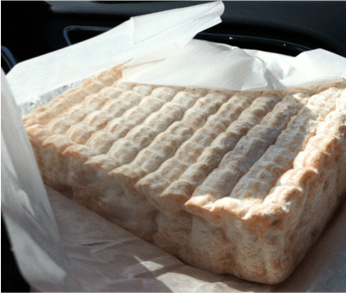 Hailing from Valley Shepherd Creamery in New Jersey is Oldwick Shepherd — a firm cave-aged sheep’s milk cheese inspired by the Basque great, Ossau-Iraty. Nutty and buttery yet slightly sweet, grassy and earthy, this is a bright sheep’s milk snacking cheese infused with our local Northeast terroir. Great with the crisp, refreshing qualities of our beer – they find their counterpart in each other. The earthy and grassy notes of both the beer and the cheese play off of one another and function in perfect harmony, just what you want in a best friend! Sixpoint’s popular brew is the most fabulous mash-up of cream ale, wheat beer, pale ale notes and a hefeweizen-esque finish. On certain days you might taste more cream ale flavors, other days more wheat forward notes or maybe the sweet floral nuances of a hefeweizen or the finish of a satisfying slug of pale ale. The best part about Sweet Action is that it is always different – the mark of tried and true homebrew. So what cheese is Sweet Action’s “sweet”-heart? Think light to medium bodied cheeses with a bright milky roundness. Bloomy rinded cheeses that are creamy and decadent with the most fabulous coat your mouth sort of flavor are a nicecounterpart to Sweet Action. I tend to like to go with the richness of either a cow’s or sheep’s milk cheese as the crisp refreshing qualities of the beer will cut right through the creaminess. Brownstone is where it all began – the original Sixpoint brew.Full of rustic, earthy, caramel malty, chocolaty and coffee notes, this brown ale is unique in its full bodied aromatic citrusy pine-y floral hoppiness. A deep dark brown with roasty toasty red highlights – this medium bodied beer is dynamic and delicious. What really sits well on Brownstone’s stoop? How about Beehive Cheese’s Barely Buzzed? Hailing from Utah, this aged raw cow’s milk cheese is hand-rubbed with espresso grounds and lavender. 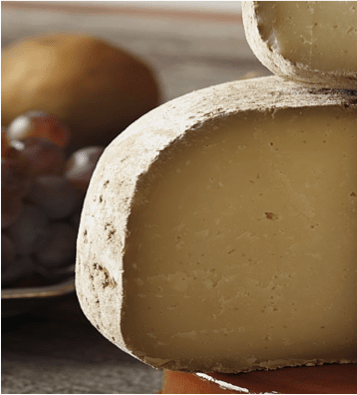 Round and buttery with nice earthy rustic notes and the most fabulous aromatic caffeine kick – this is a cheese with a fantastic depth of flavor profile. The roasty toasty-ness of the beer will find its counterpart in the cheese while the earthy rustic notes of each will function in perfect harmony. An excellent late Fall / early Winter pairing! There’s something fantastically mysterious and uniquely dynamic about IPAs – they are infused with the romantic notions and nuances of far off lands. Bengali Tiger, Sixpoint’s IPA style ale is such a beer – full of floral hoppiness, hints of caramel maltiness, with a nice citrusy yet sweet bite. Sure there’s that classic spiced bitterness with a nice earthy, pine-y rustic finish as well. A beautiful autumnal orange in color with a nice thick creamy head and a wonderful lacing on the sides of your glass. What I think is most fun about pairing with IPAs is the fact that it is the perfect example of big flavors necessitating big flavors – no opposites attracting here. If one chooses a dainty, young, fresh cheese to go with an IPA, it simply will be lost in the bold brassiness of the beer. A cheese capable of taming the Bengali bite?! Think spicy blue cheeses or sharp aged cheeses or spice infused cheeses or even stinky washed rind fellows that will be nice and salty with a round rich piquance that will be able to tango withyour IPA’s flavor profile. My favorite local blue cheese that I think works wonders with Bengali Tiger is Old Chatham Shepherding Company’s Ewe’s Blue. 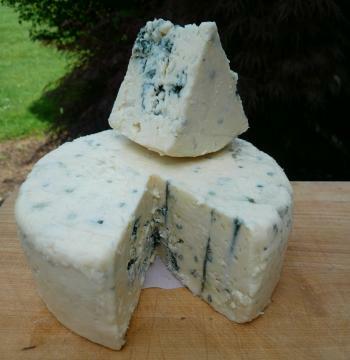 Crafted in the Hudson Valley, this sheep’s milk blue is made in the traditional Roquefort style. The piquant notes in the cheese will complement the floral hoppiness of the beer and the creamy roundness of the blue will find its counterpart in the caramel malty notes and brassy bitterness of the brew. Spicy to the core, the Righteous Ale is a rye pale ale. Grassy, rustic and earthy yet spicy, peppery, and warming, this deep copper hued beer is perfection for a late Fall day. Medium to full bodied, it warms you from the inside out. So what complements Righteous Ale? Think spice! My favorite pairing partner is Vermont Farmstead’s Hot Pepper Windsordale. 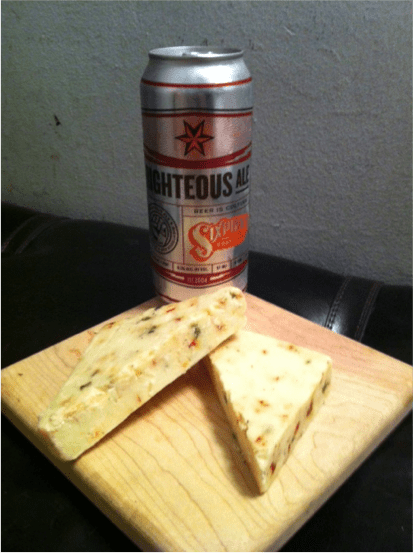 This honest and milky raw cow’s milk cheese is infused with the most fantastic blend of jalapenos and chilis giving it a nice awakening kick of aromatic piquant notes. Spice goes with spice in this pairing designed to awaken your senses! The big daddy of strength – clocking in at 9.1% ABV, this double IPA is all hops, all the time, in all the right ways. Full of grapefruit, pine, and citrusy aromas, it is quite the resinous bouquet on the nose. Golden honey in color, this brew coats your mouth in just the way such a hopped up beer should. Piney, caramel-ly, malty, and hoppy with grapefruit, minty, citrusy notes, this is one unique and fabulously delightful double IPA. What can stick with this Resin? Definitely something large and in charge! Think back to our Bengali Tiger pairing where we discussed blues, washed rinded cheeses, and cheddars. Here with the weight and flavor profile of the cheese you can easily go bigger! This month’s Open Mic contributor is our friend Rebecca Hoffman. 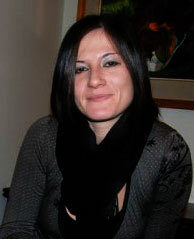 Rebecca is the author of Fromagical, an ongoing blog about all things cheese related. She spends as much of her time as possible eating, learning and experimenting with cheese. In between authoring close to 1000 blog postings of her own, Rebecca finds time to run a fine art gallery and keep up with her marathon training. Rebecca also loves a good beer, cheese optional.